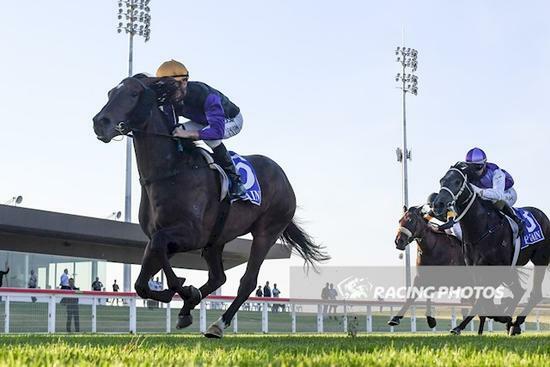 Sir Gawain put an end to an unlucky week of placings for the Moloney camp on Thursday night, breaking his maiden in the "NNGFC Thanks CFA Bushfire Effort Maiden Plate", over 1600m at Racing.com Park. After settling at the rear of the field, the three-year-old stormed home when obtaining clear running at the top of the straight, putting away his rivals in an easy fashion, and scoring by an official margin of 1.8 lengths. The gelding was perfectly ridden by Jordan Childs, taking over the reins from twin-sister, and Moloney Racing apprentice, Tayla, who rides the son of Duporth in all of his track work. Sir Gawain's win was proof of the fine form the stable is currently having, with four runners this week, all finishing in the first four. Fine Dane showed enormous courage to finish third in the Listed, "Incognitus Stakes" (Moomba Plate), at Flemington last Saturday, fighting back strongly to the line after looking beaten a long way from home. Legionnaire, who finished fourth on Monday at Ballarat, was unlucky not to get his maiden victory. After being locked away in the box-seat, the gelding didn't obtain a clear passage until the race was over. Sunday Pray was also gallant in defeat on Wednesday at Sandown. After being clearly headed in the concluding stages, the five-year-old gelding showed great tenacity to fight back right on the line, to be beaten a "whisker" in a photo finish. Congratulations to the owners of Sir Gawain, Julie and Meridy, as well as the hard-working staff at Moloney Racing!